Welcome to Surf School Lanzarote and Surf School Sri Lanka, part of the Surf Insight group. We know we offer the highest standard of coaching at all levels with amazing instructors and excellent accommodation. If you’re new to surfing check out our Beginner’s page with the chance to book and begin surfing the right way with a multi day course or just a one day starter lesson. Our course members get more in water and coaching time than any other surf school or surf camp. We know that many of you are looking to advance your surfing to new levels so go to our Intermediate and Advanced Coaching page to find out why we are one of the best schools in the world as featured recently in the Guardian’s article 10 of the Best Surf Schools in the World. Also you can use our online Coaching Videos to help you at all your various surfing levels. In the words of surfing legend Richard “Dog” Marsh, past Australian Champion and Pipeline Masters finalist and Billabong senior coach…..
Booking is super easy with us and we always tailor our courses to your needs so after checking our site contact us here so we can personalize your course. We know that surfing is fun and surf coaching an amazing profession but we also know that most surf schools and surf camps fall way short of the quality learning experience and care we provide our clients. Having fun is a serious business for us. This is Europe’s most experienced school. 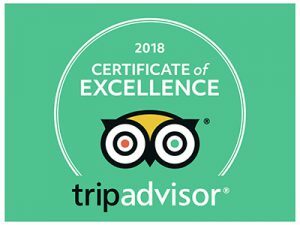 If you are a beginner, intermediate or advanced surfer we offer you the very best So see what our clients and pro’s say about us and of course what’s been said on Trip Advisor and book soon please. Also check out our new school for intermediate and advanced surfers Surf School Sri Lanka. This video contains some of the super positive feedback from our clients. Thanks to all of you who submitted videos, surfed and coached with us.